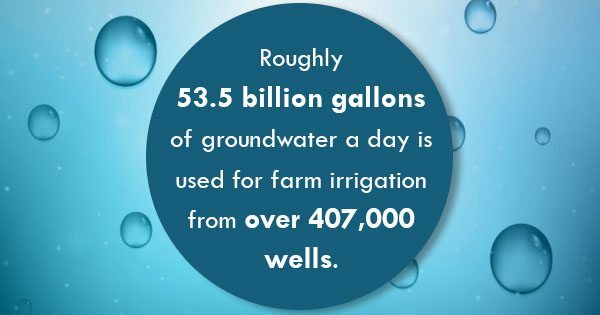 Roughly 53.5 billion gallons of groundwater a day is used for farm irrigation from over 407,000 wells, making agricultural irrigation the largest use of groundwater in the United States. Making sure that this water is safe, fresh, and healthy is critical for any agricultural producer. If improperly handled, water can transport dangerous microorganisms across any large agricultural area. It’s important to know how to identify the source of the water should any issues come up, and know when that water is contaminating your crops. There are three sources of water found on farms that can all become contaminated in various ways. If there are any flood zones, cesspools, septic tanks, drainage fields, or manure storage areas nearby, water wells have a much higher chance of becoming contaminated with dangerous microorganisms. The wells are susceptible to harmful contaminants if they were not properly constructed or have been seriously damaged over time. It’s important to take a look around your wells and inspect their physical structure once in a while, but if they are properly maintained and properly sited, they can be a great source of healthy water for your farm. Potentially the lowest level of food safety risk, municipal water usually comes from the local water authority. If the water authority is experiencing issues themselves, which has been known to happen in certain areas, then the water will be at risk. But if the water authority is doing its duties and correctly adhering to the laws to meet the highest microbiological and chemical drinking water standards, it should be extremely safe. This water source includes open springs, ponds, rivers, likes, and streams. This has, consistently, the highest level of contamination because it’s difficult to control what enters the water source. Animals often have access to these bodies of water and there is a chance that sewage discharge can enter the water and cause serious water contamination. Surface water should be tested and inspected much more regularly to fully ensure safety. Another important aspect of agricultural producing is making sure safety precautions are being taken while using agriculture irrigation parts. Improper use of agriculture irrigation parts and equipment can cause serious problems not only to your property and equipment, but to yourself and anyone else in the area. Agricultural equipment parts should be taken care of from the moment they arrive and throughout their entire use. 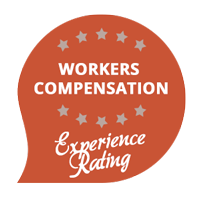 Talk to Woofter today about farming safety and agriculture irrigation parts.